Berger Straße is the perfect place for combining individual shopping with relaxed coffee breaks. While lower Berger Straße attracts shoppers with cafés, bars and quaint boutiques, the middle part features standard products needed to meet day-to-day demands. 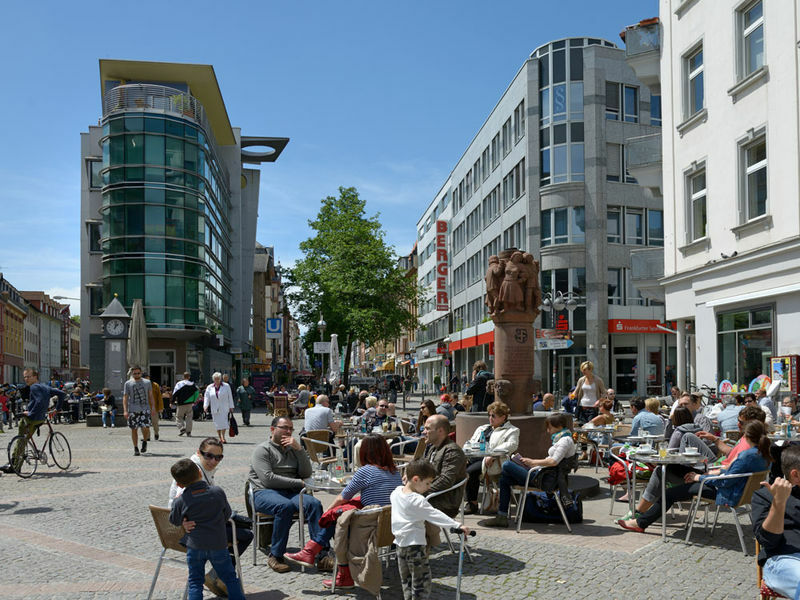 Upper Berger Straße, meanwhile, features a variety of traditional bars and restaurants – great places for taking some rest from exhausting retail activities. One-way street with standard-sized footpaths on both sides, cobblestoned near the clock tower in Central Bornheim’s pedestrian zone (Bornheim Mitte) and at Fünffingerplatz.